New York Military Academy has an eight-bed infirmary that is open seven days a week. It is staffed by our New York State licensed nursing staff headed by Nurse Susan O'Dell. She and her staff assess and treat illnesses and injuries, dispense daily medications, and arrange off-campus appointments. The academy’s physician, Dr. Gurinder Mehar, is available to the school 24 hours a day if needed. Cadets experiencing sickness or feeling ill can report on their own to sick call three times daily during mealtimes. Teachers and/or athletic coaches can also refer cadets to the infirmary throughout the day. For severe illnesses or injuries, the nursing staff refers our cadets to St. Luke’s Cornwall Hospital. Its facilities are located in the nearby community of Cornwall and is less than three miles from the school. The hospital staff and the school have a close working relationship and our cadets receive quality emergency care and treatment when necessary. St. Luke’s Cornwall Hospital also accepts most insurance plans. In the event a cadet becomes sick after hours, the Commandant will be notified and the cadet transported to the hospital for diagnosis and/or treatment. If a cadet sustains an injury during an away athletic contest or during school-sponsored field trips, he or she will be taken by one of the adult staff to the nearest full-service medical facility for treatment. Parents will be notified of the injury and prognosis as soon as possible. During school vacations the infirmary is closed. Several support services are available on campus for our cadets. These services include a tailor shop with a full-time tailor who fits and makes alterations and repairs to cadets’ uniforms, a cadet store where cadets can purchase basic school and personal items, a weekly laundry and dry cleaning service, cadet mail service, and a part-time barber for male cadets on campus two days per week. 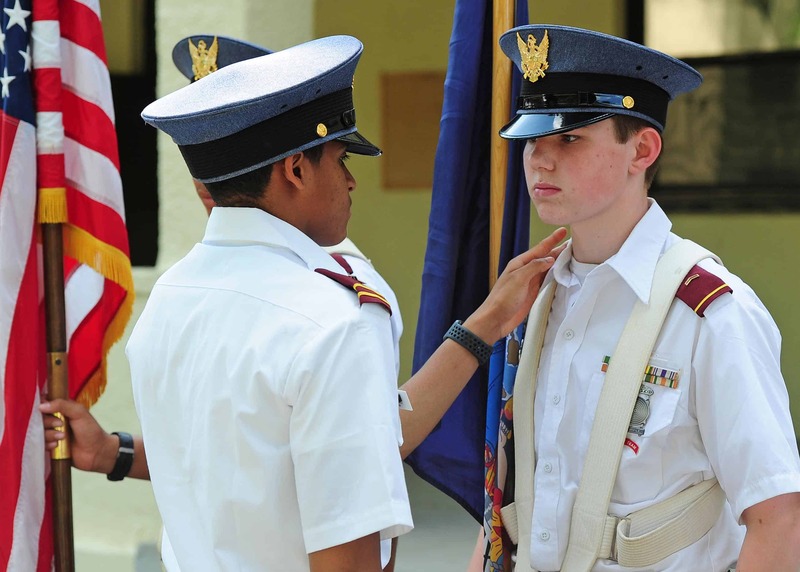 In addition, the business office provides a cadet banking service that distributes weekly spending money to cadets based upon funds deposited for that purpose by parents or guardians.